So your fellow traveler said a little too much again, and now you are facing a very angry mercenary. 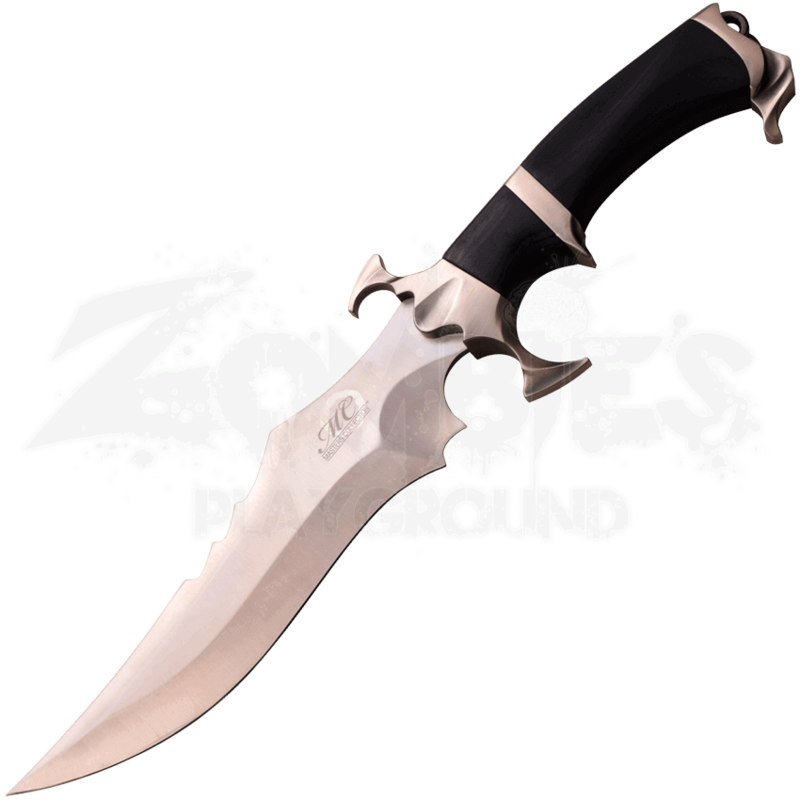 With the Fearless Adventure Knife, raise survival odds and take the lead whether in close combat or traversing the wilderness. 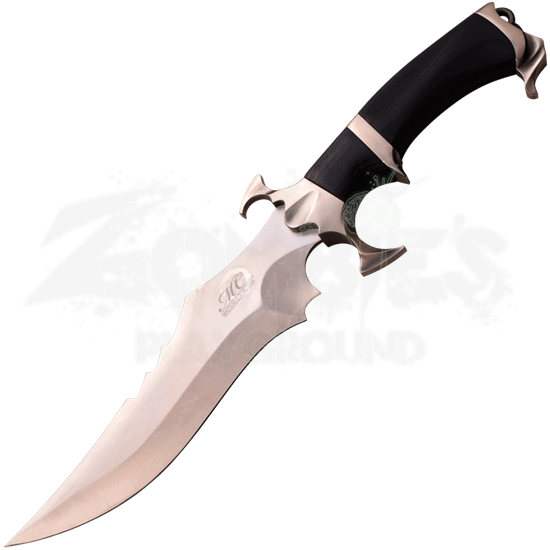 Fashioned of durable stainless steel, this fixed blade combat knife allows for powerful attack. Let this fantasy knife set the mood with its stylized satin finish and beautifully complementing zinc alloy and black pakkawood handle. The tough pakkawood grip braves the elements alongside its wielder. Carry this fantasy survival knife wherever adventures may take you.